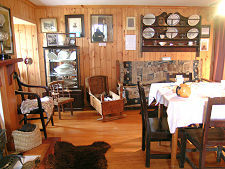 A "haa" was a laird's house, and a number were built across Shetland from the 1600s onwards. They tend to be characterised by a sense of solidity and permanence, and the Haa of Tangwick is no exception. 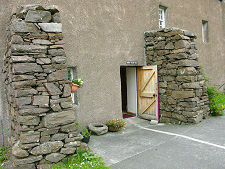 It lies in Eshaness, part of Northmavine, in the remote far north west of Shetland's Mainland and was built for the Cheyne family in the late 1600s. 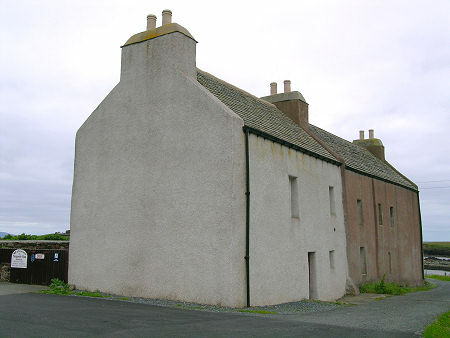 The last full time resident laird was John Cheyne, who died here in 1840. The family then ran the estate from Edinburgh, albeit with regular visits to Tangwick for a while. But by the early 1900s the Haa of Tangwick was in a state of disrepair. Renovation of the far end of the building as in the header photo began in 1978, and that half of the Haa opened as a museum in 1988. Photos taken in the 1990s show the near end still roofless and derelict down to the upper floor windows. Restoration of this part of the haa was undertaken in the late 1990s and the whole building reopened as a larger museum in 1999. 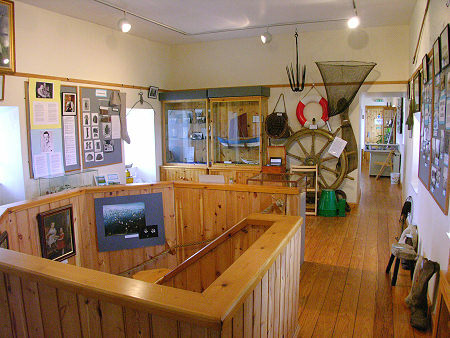 The aim of the museum is to tell the story of Northmavine and its people across the ages. 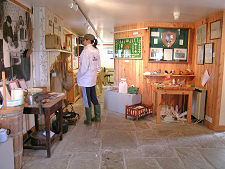 It is run by the Northmavine History Group, in conjunction with the Tangwick Haa Museum Trust. And it isn't just a museum. At the rear is a large walled garden with picnic benches, ideal for enjoying the weather when it is rather better than shown in the header image! The museum is beautifully presented. One part is set up to represent the Cheyne family dining room when the haa was a family home, and you start to get some sense of the life of some of the area's better-off residents. 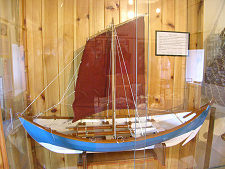 Elsewhere the area's nautical heritage is celebrated with a superb model of a fourareen: an open fishing boat designed to be powered by four oarsmen or by sail. 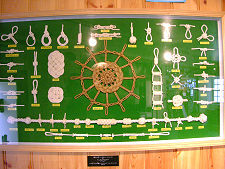 The theme is continued with an amazing display of knots on one wall. 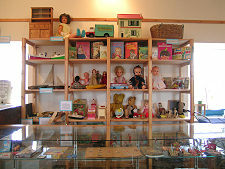 But other parts of the display cover all aspects of local life, from a collection of children's toys from times gone by to sewing machines: from sea shells to sand from different parts of the coastline. And an important part of the museum is the family history corner with is Parish Records and Census data, which can be viewed on microfilm: and help is on hand should you need it with your research.